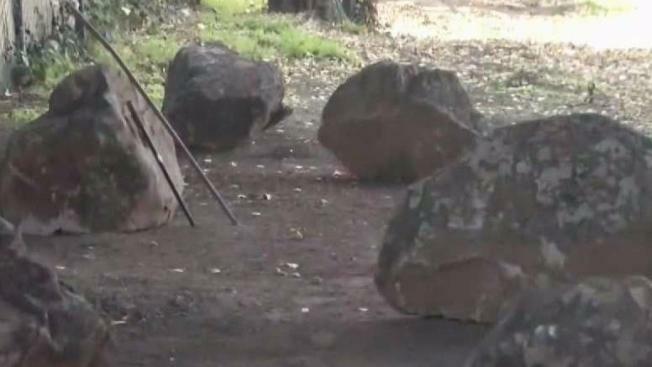 The San Francisco Department of Public Works and Caltrans is rolling out a new strategy to deal with the growing number of homeless encampments: boulders. The city has specifically chosen the area underneath the 101 overpass on Cesar Chavez known as Hairball, where boulders have already been placed. “I mean the boulders to me, is like they’re saying – screw you guys!” said Isabel Miron. The cluster of rocks cost the city $8,700 to be exact, and according to Stringer, that’s about the same amount DPW spends in a week cleaning the site. According to Stringer, the plan to place boulders at these locations was to push homeless residents to seek out shelters and assistance. But a previous resident of that area says that although navigation centers have worked for her, she questions the wisdom of constantly relocating everyone. Stringer says more rocks are coming, specifically to Hairball. If it works, DPW might deploy them elsewhere too.